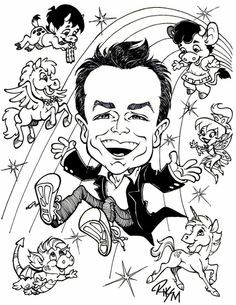 Rick has been working as a professional caricaturist and cartoonist for 15 years. His on the spot work is always humorous but never unkind. Equally happy working with children and adults, Rick can create a whole picture including a past time, hobby or theme for your event. 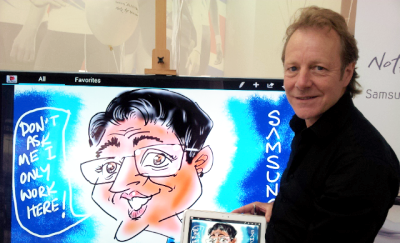 Adding a digital tablet to his caricature arsenal allows for Rick to create brilliant digital caricatures in a matter of minutes! Want to entertain more than one person at a time? Try this. Rick can work straight into a computer linked to any number of large scenes. Your guests can watch him work from anywhere in the room, anywhere in the building. 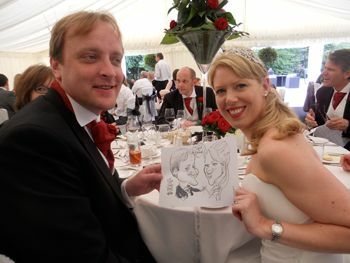 Each caricature is saved to a disc and each person’s email address filed – no need for them to carry a drawing around. The drawings are in colour and everyone can enjoy watching the artist work with out leaving their seat. 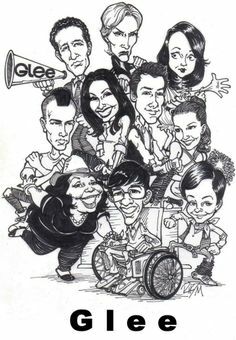 Rick will also draw traditional caricatures on A4 in black and white if preferred. 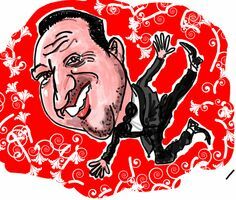 Rick spends his time producing group caricatures for the armed forces, he was the cartoonist for Sports First newspaper for two years, and he had worked published in The Scotsman, Private Eye and Match of the Day Magazine. He has appeared on the Steve Wright Show on Radio 1 and recently worked for ITN News. By using a Tablet PC linked to a large screen Rick can entertain any number of people at once. Fantastic entertainment for a whole crowd at once. 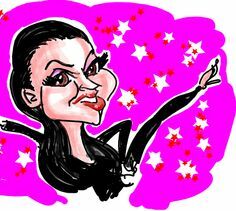 All your client’s colour caricatures and email addresses are saved to disc. No need for them to carry their pictures around. Client needs to supply projector or plasma screen. 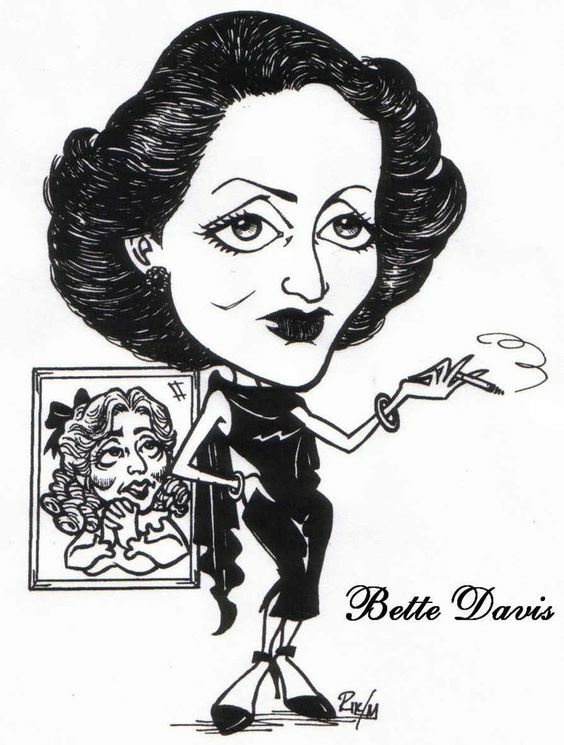 Full body caricatures including a hobby, pastime or themed to your event drawn on A4 in black and white. Rick can work through reception, around the tables or in a fixed area.